MR.JIMMY started in 1994 as Jimmy Sakurai's private session band in Tokyo,Japan. They used to play at clubs in Fussa, near the United States Army Base. Each show, several of his friends sat in with the band and played their favorite ZEPP songs all through the night with funky GI guys. After such joyful days Jimmy Sakurai decided to form this band as permanent band. After many sessions, the other members were chosen. 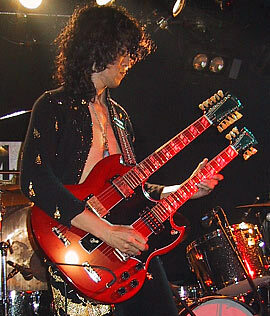 In those days MR.JIMMY has been playing at several major clubs in Tokyo and appearing on some T.V.shows, billed as "the incredible Led Zeppelin tribute band," and Jimmy Sakurai has been called the best `Jimmy Page Player' because of his performance and sound. He is requested to write many articles in popular guitar magazines in Japan, and called for recording sessions that need the magic of his sound. Jimmy Sakurai is ready to play with anyone who needs a Jimmy Page-style player, anywhere in the world! Remember it was the hippie daze!!! Legendary drummer and friend of the stars, Kenney Jones is choosing the tracks on this week's My Planet Rocks. Joining him is Robert Hart, current singer with Kenney's band The Jones Gang. Expect some quality tunes and top rock n' roll tales, including the real origins of one of the Rolling Stones most famous songs. that rock their world and revealed stories about their own careers in the rock biz. but we've also taken inspiration from bands including Reef and The Meters. a blend of classic rock and blues with a shot of funk. Reaching Out (Long deleted 1996 UK 3-track charity CD In aid of Nordoff-Robbins Music Therapy Centre. An interstellar line-up led by the 'hairy one' from Queen with help from the drummer from the Stones, guestvocals are supplied by Paul Rodgers, Lulu & Sam Brown. 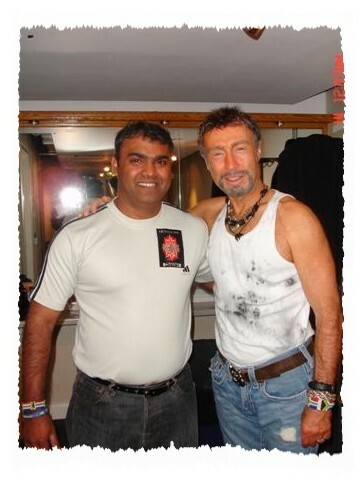 Probably the first known recording with new Queen frontman, Paul Rodgers! In addition to the Single Version, this CD contains both the Accoustic and Instrumental Versions. CDEM438). Are presently in the Studios !!! To reach the Box office by telephone call 877-711-2946 and press #2. Be quick for best seats !!!! We are a blues/rock band from shrewsbury currently on the look out for a bassist and vocalist who are looking to commit to a band that play music heavily influenced by 60's and 70's rock n blues. We have both been playing our instruments for several years and want to form a dedicated band to gig and write own material. We jam almost every weekend and have several covers and hopefully we can record these and get them up on myspace soon. 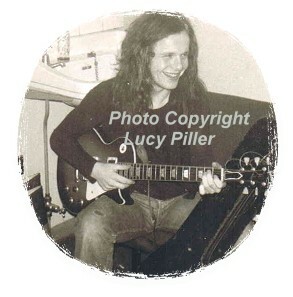 At the moment we have a rough version of "trouble on double time" by Free, just to give you a taster!. Give us a messsage if you are interested in joining or getting together for a play, cheeers. New Jacket Available now !!! Frederick Brown, Jr. Amphitheater is located in a multi-use complex including a skateboard ramp, The Gathering Place, a BMX track, Southern Conservation and Trust, Flat Creek Nature Center boardwalk entrance, and the Peachtree City Recreation Administration Building. Maximum seating at Frederick Brown Jr. Amphitheater is 2,200 people. Our Gold Section (orchestra pit area) seats up to 240 in the maximum seating configuration. The facility also features a landscaped lawn section to the far right of the seating area for those who want to enjoy a picnic ambiance. (ARN GROUP) I will stay in touch.